Tiaan was diagnosed with Autism Spectrum Syndrome at the age of 5 years, which sounded like a death sentence at that stage. He was struggling to read, write and was emotionally far behind other children of his age. We enrolled him at a school for children with learning problems, but Tiaan always needed some extra assistance. 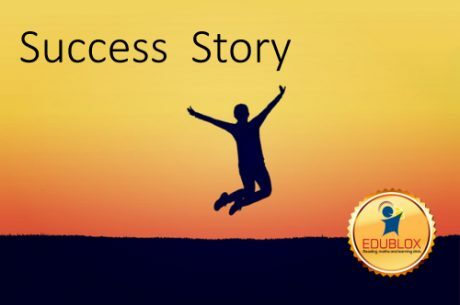 In 2016 we enrolled Tiaan at a smaller school and was informed that he is far behind regarding reading and development, but did pass grade 3 and was promoted to grade 4. The second week in January 2017 I was called by the teacher and informed that it will be best for Tiaan to repeat grade 3 as he is not coping in grade 4. Needless to say, we as parents were devastated and did not know what to do. We demanded as parents that it is too early in the term to decide that he must repeat grade 3 and insisted that he stays in grade 4, and that we will do whatever it takes. We enrolled Tiaan for other extra classes at an institution to assist with writing and reading, but after a month I was informed by the educator that she was wasting her time and my money and that she will not be able to continue further herein. The aftercare teacher noted that there are children attending Edublox and that she could see a huge different in their school work. 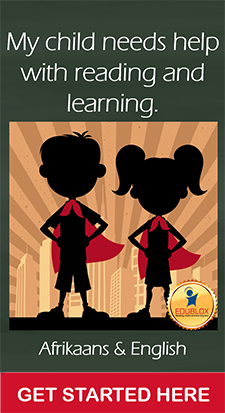 We as parents were so tired of all these classes and things that did not work, but decided to give Edublox a try. Tiaan enjoys Edublox a lot, even during the holidays. He actually informed us that he wants to go there every day. He enjoys every aspect – the reading, building blocks, working on the computer – there is nothing that he doesn’t enjoy. He is reading now, I cannot even send a whatsapp message in secret now as he can read my messages. He now enjoys doing his homework as he can read; his concentration and memory have improved significantly. I was informed by the school as well as the aftercare that Tiaan’s self-esteem has also improved drastically. He is more confident and mature, he passed all three terms in grade 4 and is doing extremely well. 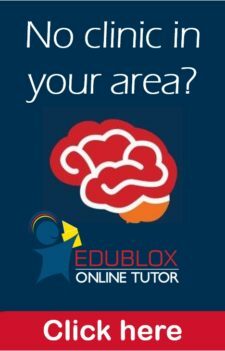 I just wish that I knew about Edublox earlier as I think Tiaan would have excelled earlier, and we would not have wasted time with other classes which did not stimulate Tiaan in the correct way. Tiaan will always have social problems, but even here we can see an improvement as he is very competitive and enjoys the interaction while reading. This is the first program that really works.